Adapted from the original Grimm fairytale, Amherst Ballet’s production of Snow White has a few surprises in store. The princess Snow White is the envy of her step-mother, the Evil Queen, who devises a plan to remove the princess from her kingdom. When Snow White falls in love with a prince the Queen decides to put an end to Snow White’s life and her own jealousy. With the aid of the Huntsman, Snow White is banished to a life of loneliness and misery in the far reaches of the forest. Chance delivers her to a small cabin in the woods, where she meets the Seven Dwarves who live there. They offer her refuge, but the Evil Queen discovers that Snow White still lives. 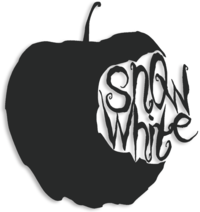 Adopting a disguise, she travels to the cabin, where she convinces Snow White to eat a poisoned apple. And if you’re expecting the Disney end to the tale, you are in for a surprise!